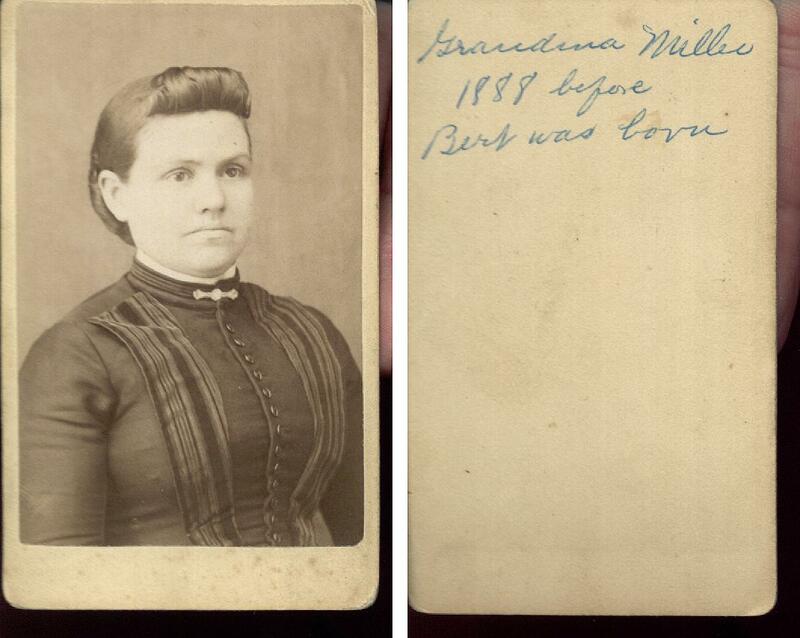 Comments: Miller (Nee: ) | | 1851-1900 | Comments: On Back * Grandma Miller 1888 Berfore Bert was born//Photo album was donated to DeadFred.com by Liz who says she cannot stand to see Identified photos laying unclaimed in junk stores. Liz buys them with the hope that they will find thier whay home to family. /// Frequent Names : Miller, Haskett, Newhouse, Powers,Galvin ,Brisbane,Sampson .Many other names. Contact Webmaster@deadfred.com with questions , Click at bottom of record to access all the records in this album.